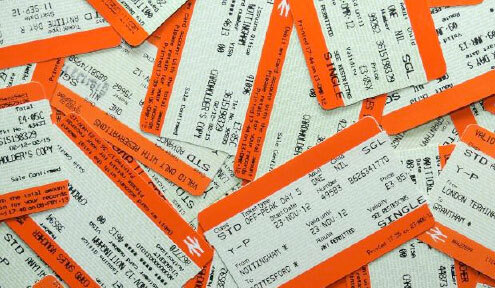 Ticket prices are again in the news because of the annual New-Year price increases. There is continuing growth in the number of passengers using Britain’s railways, which is predicted to reach a new all-time high of 1,750 million journeys in the current financial year, but there is however, significant change in the type of tickets being purchased. Total demand in the second quarter of the 2018/19 financial year covering the months between July and the end of September was 434 million, which was 1.9% higher than in the same period of the previous year. Individual train operators recorded varying results and this is in part a reflection of the transfer of some routes between franchises / concessions, with Transport for London showing a 21.1% increase after absorbing the Heathrow Connect services. This impacted on the Great Western Railway where a 6.0% decline took place although this can also be attributed to disruptive engineering works on the Route. The Govia Thameslink Railway also recorded 5.6% growth in part at the expense of East Midlands Trains where volume declined by 3.8% following re-organisation of the train services. Yet when total ticket sales are disaggregated into the sale of ticket types, the decline in the use of season tickets is again evident for another year. 20 years ago, statistics in 1989/90 showed that 50.4% of all travel was made by season ticket holders, but this has seen a continuing decline and most recently the figure recorded was reduced to only 32.9% of all journeys. Although the purchase of discounted advanced products is growing, it represents only a very small element of demand with sales currently making up just 4.6% of revenue. The big product earners remain ‘turn up and go’ full fare (24.7%) and ‘off-peak’ (36.1%) share of purchases, where in both cases the sales numbers are showing an upward trend. There is little doubt that for many rail users season-tickets no longer reflect ‘value for money’ in the same way that they once did, as work place trends increasingly mean people no longer have a standard 5-day working week at a fixed location and as a result find it is more economic to buy single journey tickets even although these may be at a higher price for an individual journey when compared with the discounted season ticket fare. The combination of greater passenger numbers, fare increases from January 2018 of 3.6%, and declining season-ticket use meant that fare-box income for the quarter reached £2,541 million, which was an increase of 5.4%. To complete the statistical analysis the average income per passenger kilometre increased to 14.88p (+4%), and average fare paid was £5.81 (+3.4%). The changing pattern of ticket purchase adds urgency to the development of smart ticketing products and the ability to price individual journeys in the way that is used on the London Underground. The goal of pricing individual trips has become more achievable with the widespread customer use of smart phones that can be used to validate journeys. 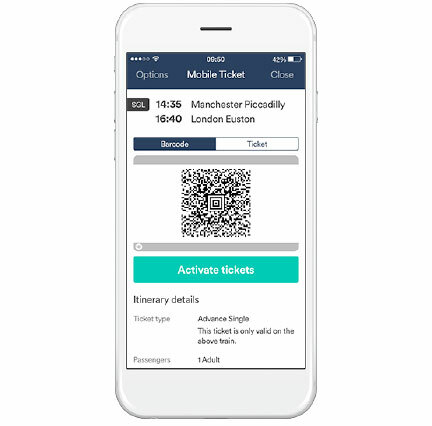 Smart phone ticket presentation capable of being recognised at ticket barriers and by on-board staff. The Rail Delivery Group is leading the development of a smart ticket specification that will be used by the Train Operating Companies in the future on a national basis. FCP Associates have wide-ranging experience of smart ticketing and Automated Fare Collection systems across the world.